Some restaurant dishes go to fat, calorie extremes! Diners beware: There are some extremely high-calorie, high-fat land mines on restaurant menus. The Center for Science in the Public Interest, a Washington-based consumer group, today announced its annual "Xtreme Eating Awards." • The Cheesecake Factory's Pasta Carbonara with Chicken, 2,500 calories. • Bob Evans' Cinnamon Cream Stacked and Stuffed Hotcakes, 1,380 calories. • P.F. Chang's Double Pan-Fried Noodles Combo, 1,820 calories. "You can't even split these and have a decent meal — the numbers are just off the charts," says Bonnie Liebman, the center's nutrition director. Liebman says big portions have become the norm at restaurants. "You can find giant pasta dishes with cream sauces in many chains now. When did it become normal to have an entire pizza by yourself? It used to be a slice of pizza. It's as though we have become numb to the enormous portion sizes that restaurants put on our plates." Mike Donohue, a spokesman for the National Restaurant Association, an industry group, says the report "paints a distorted picture of restaurants based on a single menu item." "Certainly there are indulgent items on menus, but there are more diet-conscious items on menus than ever before, and our customers know it," he says. "The restaurant industry is committed to providing healthier options and the detailed information consumers want to make the decisions that are best for themselves and their families." Liebman says the average American should consume about 2,000 calories a day and no more than 20 grams of saturated fat. And most adults — including those with high blood pressure, African Americans, the middle-aged and the elderly — should consume no more than 1,500 milligrams of sodium a day, according to the dietary guidelines from the U.S. Department of Agriculture. • The Cheesecake Factory's Pasta Carbonara with Chicken, which, in addition to the 2,500 calories, has 85 grams of saturated fat. That's more saturated fat than a person should consume in four days, Liebman says. The dish has four cups of white-flour pasta, smoked bacon, chicken, and Parmesan cream and butter sauce. • Five Guys' Bacon Cheeseburger without toppings, 920 calories and 30 grams of saturated fat. That's like twoMcDonald's Quarter Pounders, Liebman says. A large order of Five Guys' french fries, 1,460 calories — about triple the calories of a large order of fries at McDonald's. The bacon cheeseburger and fries tally 2,380 calories. • P.F. Chang's Double Pan-Fried Noodles Combo, 1,820 calories, 7,690 milligrams of sodium. • Bob Evans' Cinnamon Cream Stacked and Stuffed Hotcakes, 1,380 calories and 27 grams of saturated fat and 7 grams of trans fat. A fourth of a cup (about 4 tablespoons) of syrup is another 200 calories. • California Pizza Kitchen Tostada Pizza with Grilled Steak, 1,680 calories, 32 grams of saturated fat and 3,300 milligrams of sodium. • California Pizza Kitchen's Pesto Cream Penne, 1,350 calories, 49 grams of saturated fat and 1,920 milligrams of sodium. • Chevys' Crab and Shrimp Quesadilla, 1,790 calories, 63 grams of saturated fat and 3,440 milligrams of sodium. 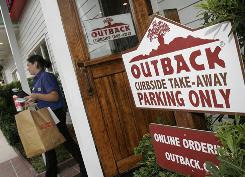 • Outback Steakhouse New Zealand Rack of Lamb with garlic mashed potatoes and fresh vegetables, 1,820 calories, 80 grams of saturated fat and 2,600 milligrams of sodium. • The Cheesecake Factory Chocolate Tower Truffle Cake, 1,670 calories and 48 grams of saturated fat. "A tower of any food is rarely a good idea," the center's newsletter says. Eating several small meals throughout the day may allow weight loss to happen quicker then traditional eating routines. This is because eating 4 to 6 meals daily keeps your metabolism consistently burning. The result of this behavior can actually train your body to burn more calories over time, resulting is quicker weight loss. Here's a guide to eating small meals to increase your metabolism. Step 1) Plan 4 to 6 small meals each day. Plan meal intervals no longer then 3 hours apart. Eating at regular intervals keeps your metabolism burning all day long. Step 2) Eat breakfast early in the day. Within 1 hour of waking up, make sure to eat breakfast. This will allow your metabolism to run quicker then if you eat later or skip breakfast altogether. According to WebMd, people who eat breakfast every day tend to consume less total calories and therefore lose weight quicker. Step 3) Prepare your meals in advance. Meals are often skipped because people get too busy. Pre-chopping fruits and vegetables and planning your meals each day will ensure even if you're busy, you won't skip meals. Step 4) Incorporate fiber into each meal. Eating fiber at each meal will make you feel more satisfied and ensure you don't overeat. Good sources of fiber are whole wheat bread, cereals such as bran and oatmeal and fruits and vegetables. Step 5) Increase your water consumption. Sometimes your body misinterpret signals of thirst and hunger. When consuming several meals each day, drink at least 8 ounces of water with each meal. This will ensure you drink enough fluids, which will keep you hydrated. Today, a wealth of scientific research has confirmed that most of the leading causes of death and chronic diseases are preventable. We have been talking about the lifestyle factors that will help us improve our health. Adding breakfast to your eating pattern is a major step to improving your lifestyle. Well, why bother with breakfast? Food is fuel. Many studies have emphasized the importance of breakfast. If you want to make the most of your day, fuel your body early with the right stuff. What’s your excuse for not eating breakfast? • “No time?” How much time does it take to eat a bowl of cereal? Make toast and eat it on your way to work. Make your breakfast the night before. Making time for breakfast is making time to be healthy. • “Not hungry?” To get started, don’t eat anything after an early supper. Finish supper by 6:30 p.m.
• “Might gain weight?” Eating breakfast will actually help you reach and maintain your healthy weight. Your appetite will be satisfied longer. You’ll be eating food when you can best burn the calories. You’ll feel great. Eat breakfast. • You “don’t like breakfast foods?” You don’t have to eat traditional breakfast foods. You can eat leftovers, or a sandwich. Any healthy food is fine. Caffeine may mask hunger. • You “don’t like eating breakfast?” It is in your best interest to eat breakfast. Take the step. Do the right thing. Eat breakfast. Try this simple experiment. Eat one or two servings of fresh fruit every morning for the next three weeks. Eat as many different kinds as you can find. And remember, Health is by Choice...not by chance! The choice is yours. You don’t have to be a statistic. By adopting a better diet and wiser lifestyle habits, you can live longer, feel better, and enjoy a healthier, more productive life. Every year, an estimated 5,000 people in the United States die from food-borne illnesses, and at least 76 million people become ill. Consumer Reports ShopSmart says how you handle food, beginning at the grocery store, can make a difference. "Many people know the importance of safe food handling at home, especially with meat or poultry," said Mandy Walker, with Consumer Reports. "But how you shop can help minimize your risk of food-borne illnesses, too." Wait until the end of your trip to pick up cold items, such as eggs, meat and deli foods. Even then, reach into the back of the case to make your selections. If you buy bagged salad or other greens, be sure to select the latest "use by" date available. In a recent test, Consumer Reports found higher levels of bacteria in bags of salad that were one to five days from the "use by" date than in packages that were six to eight days away. Treat raw meat and poultry as if it's contaminated – because it might be – so bag it separately without touching the package. "In general, it's also a good idea to avoid any packages that are leaking juices, because that's a way bacteria can be spread," Walker said. Finally, pick up frozen foods last, and again, reach into the back of the freezer case, where items are usually the most frozen. In hot weather, consider putting your perishables in a cooler bag with an ice pack for an extra measure of food-safety protection. When you are in the produce department, keep a sharp eye out for bruised fruits and vegetables. Soft spots are breeding grounds for contamination. 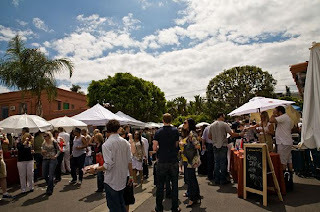 With more than 130 wineries, spirits and thirst-quenching craft beers, great food, and educational seminars on saké, scotch, bourbon, cheese and more, this is a weekend you will not want to miss! This year will feature several notable restaurants from the Los Angeles area, where you can sample or purchase meals. This year’s event supports the Hollywood YMCA, the Children’s Tumor Foundation and the Paderewski Festival. 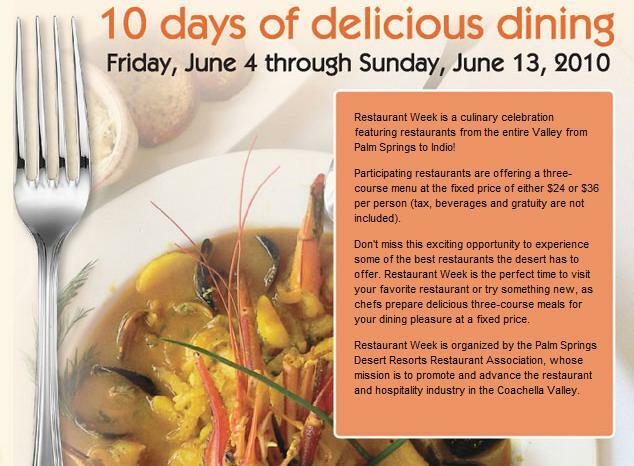 Restaurant Week is a culinary celebration featuring restaurants from the entire Valley from Palm Springs to Indio! Don't miss this exciting opportunity to experience some of the best restaurants the desert has to offer. Restaurant Week is the perfect time to visit your favorite restaurant or try something new, as chefs prepare delicious three-course meals for your dining pleasure at a fixed price. 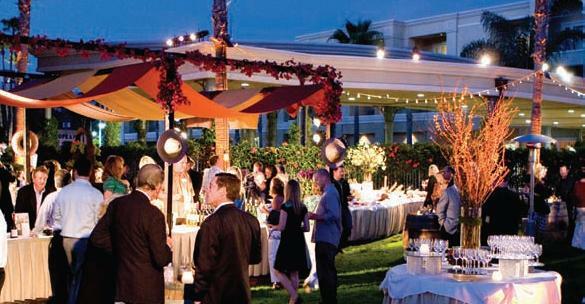 Acclaimed Winemakers, our celebrated chefs and Master Sommeliers will serve as the guides- captivating festival goers with educational seminars and wine events with endless tasting tables. To make your Reservations for Festival Events, please call (949) 630-4146. 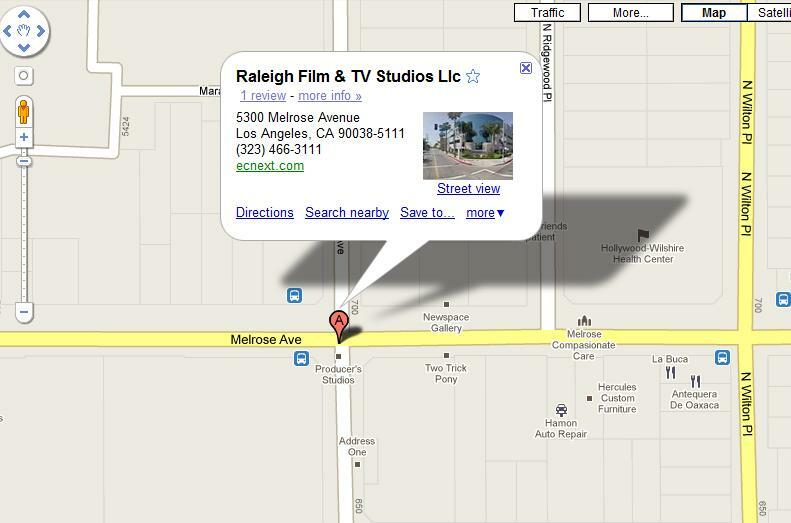 To make your Reservations for Guest Rooms, please call (949) 645-5000.